Khloe Kardashian wants you to know that the whole Kim and Kanye relationship was her idea from the start. The reality star says she wanted her big sister to date the rapper years before they finally got together. 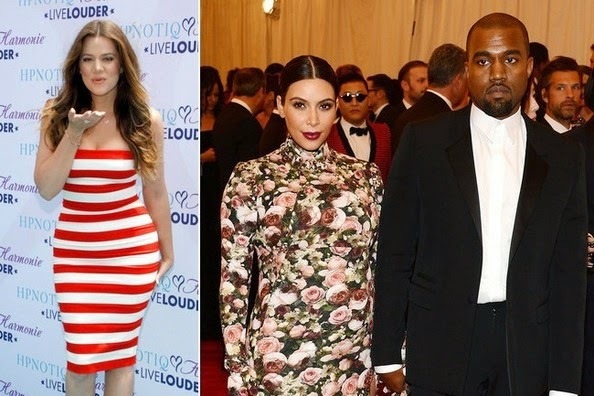 "We’ve known Kanye since 2006 or 2007," Khloe explained on The Talk this week. "And he’s always been into [Kim] and loved her. He just always was so obsessed with her -- in a good way. And I just thought that was so cute, and she was like, 'No we’re just friends or whatever.' And I just was like, 'I think that you two are so similar with fashion or whatever you guys are both into.' And so I said 'Just give him a shot.'" 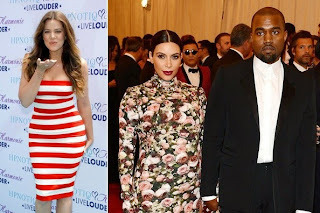 Khloe continued, "And then one day -- I don’t know what happened, she acts like it was her idea, like I never said it, 'Wait, I think I really like Kanye.' And I was like 'Hello! I’ve been telling you for years!" If Kim had just followed her advice from the start, "we could have saved a whole wedding!" she joked, obviously referring to Kim's 72-day marriage to Kris Humphries.